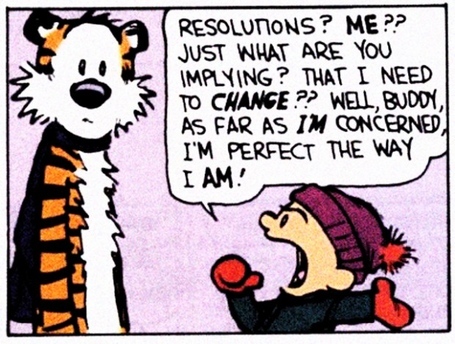 I love New Year’s Resolutions. I love thinking of January 1st as a time to feel extra motivated to be the best version of myself possible that year. This year, I’m making resolutions with a purpose, and I want you to join me. Here are seven resolutions that we can make to help alleviate poverty in 2017 with Food for the Hungry (FH). 1. Read and learn as much about poverty as you can. Poverty is a complex and diverse problem. The issues that trap people in cycles of poverty can range from country to country, even community to community. The first step to combating poverty is understanding it. Though poverty is too complex to ever be fully grasped, being armed with knowledge on the subject will help you move forward. Here are some books/ebooks that will help us learn more about global poverty. Check out these 10 titles to get you started! 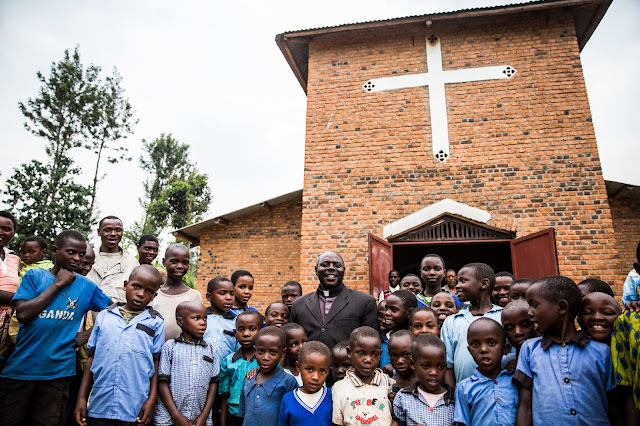 Child sponsorship is a great way to equip families to pursue the best for their children. Food for the Hungry uses the funds from child sponsorship to assist entire communities in providing food, a better education, clean water and medical treatment for its children. You can make that big of a difference with only $38 a month. On top of that, you can become a friend to your sponsored child by writing letters and sending photos back and forth. Click here to learn more about child sponsorship. Sponsor A Child Today from Food for the Hungry on Vimeo. Your time can be as valuable as your money. 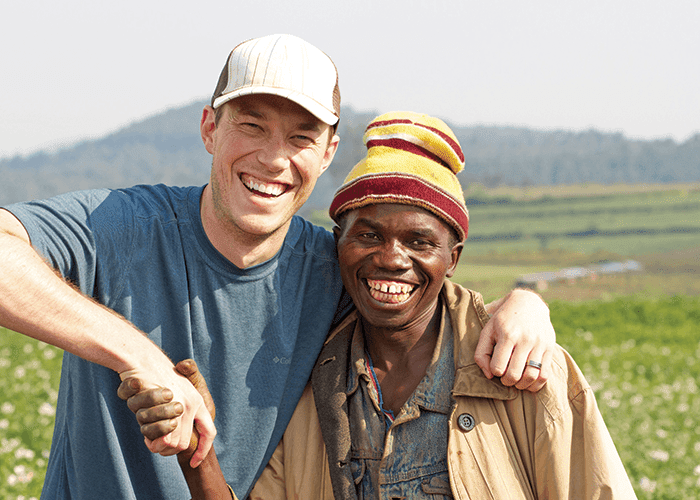 Volunteering with organizations both locally and abroad helps companies end extreme poverty. Plus, volunteering usually helps you learn more about the problem of poverty and the ways various companies are working towards a solution. Here at FH, we're always looking for more hands on deck! If you're interested in volunteering with us in Abbotsford or in your local city, click here! If you're a blogger, writer, photographer, or globe-trotter, click here! 4. Pray for those daily living in poverty. As followers of God, we know how important prayer is. In addition to giving of your financial and time resources, give of your thoughts. Join with the global church by spending time asking our Lord to protect those living in poverty, and to show us what specific roles we can play in extending his love and glory to those most in need. 5. Meet a specific need today. You can check this resolution off today! Specific needs arise every year in communities facing poverty. Accessing water and nutritious meals are two of the big ones. In addition, people need practical tools like school supplies, sewing machines, skills training, seeds, electricity, gardening tools - the list goes on. Click here to find out how you can meet the specific need of someone living in poverty today. Then check it off your list! 6. Write to your representatives. Government officials make huge decisions that affect global poverty. They decide which initiatives to financially support, which organizations get funding, and how much to be involved in international affairs. Do some research on the items you’re most passionate about and let your voice be heard by telling your Member of Parliament (MP) why it’s important to you. Click here to find your MP and get their contact information. 7. Tell your friends, family, and church about the cause of the poor. Advocacy is one of the best things you can do for the poor. Tell your friends and family why it’s important to you. Share a copy of the FH gift guide with them. Share about FH on your social media. Click here to find out how you and a group of friends can take an Ending Poverty Together Boot Camp. Or click here to learn about how you can get your business or church involved. Now, let’s have a great 2017 together! Kendra is a journalist at heart with a passion for justice and real life change. She graduated from Arizona State University with a BA in Justice Studies and a BA in Journalism and Mass Communication. She loves to travel and tell other people's stories. In her free time, you can find Kendra baking, woodworking, beekeeping and listening to episodes of This American Life.